United Way California Capital Region’s Women in Philanthropy group is now United Way’s Women United, joining the global Women United network of more than 70,000 women leaders taking action in their communities. 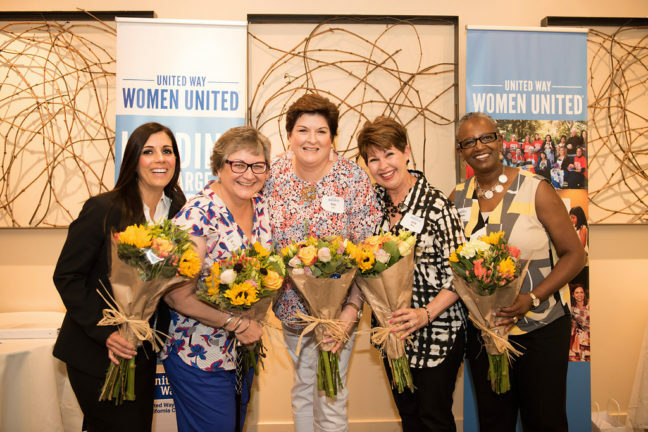 The local Women United action group is a force of 350 local women and supporters making sure local foster youth are prepared for success in college or career. The local Women United action group raises funds for special bank accounts that help foster youth leaving the system save for necessities such as rent, transportation and textbooks. Members and supporters also lead life skills workshops and trainings to help foster youth understand how to manage finances, navigate the college system, prepare for interviews, cook and more, and they participate in volunteer experiences and networking events. To learn more about Women United, become a member or make a donation, visit www.YourLocalUnitedWay.org/WomenUnited. Women United’s local members and supporters focus on foster youth as part of the Square One Project, United Way California Capital Region’s 20-year promise to significantly increase the number of students who graduate from high school ready for success in college and beyond. Through nine decades of work and research across Amador, El Dorado, Sacramento, Placer and Yolo counties, United Way believes ending poverty starts in school and is working to ensure kids meet important milestones to prepare for success in college or career. To make a donation, visit www.YourLocalUnitedWay.org.